Myrtle Trace 3BR/3BA home in 55+ Community. Soaring catherdral ceilings. Ceiling fans in all major rooms. Kitchen updated & has breakfast nook, tile flooring in main areas, master bath updated with walk-in shower & tub & vanities. All window treatments, appliances & Washer/Dryer convey with property. Thick wooded area behind house, very private backyard. Sprinkler system & garage is approx. 18x19. 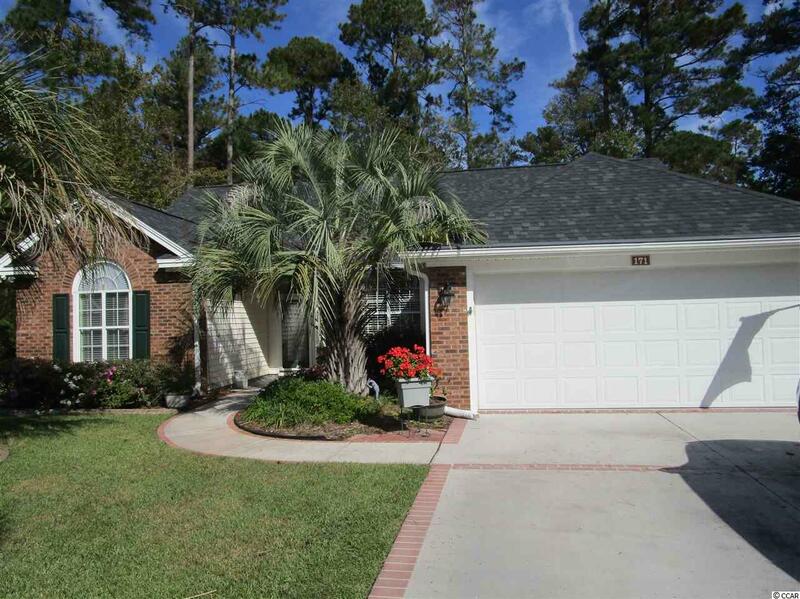 This is a very active community that offers outdoor saltwater pool & clubhouse! Located close to shopping, fine dining, shows, hosptial & most anything else you want or need! Directions: Off Rt 501 Onto Burning Ridge Rd To 4 Way Stop Sign. Right Onto Myrtle Trace Drive. At First Right Turn You Will Be On Candlewood Drive. Quick Right Turn Onto Glenwood Drive. Follow Glenwood Dr To It's End And You Will Be On A Cul De Sac. 171 Is Straight Ahead.